Based on my great review of Ethiopic several years ago, two of my friends suggested that we meet there for dinner on a Friday night. 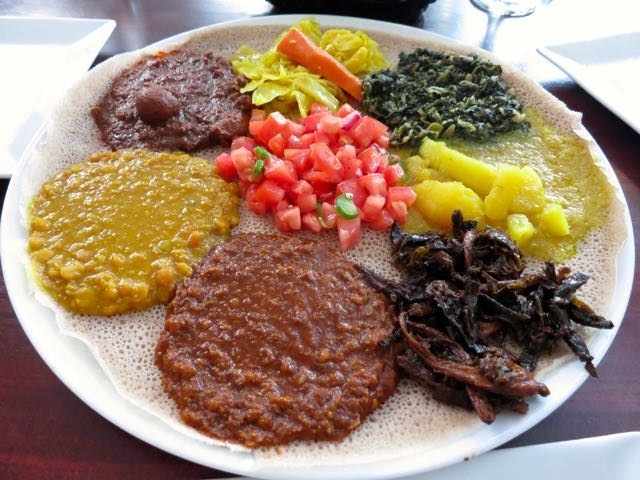 This restaurant has been hailed as the best Ethiopian in the city by the critics (including me!) so it seemed like an easy choice. 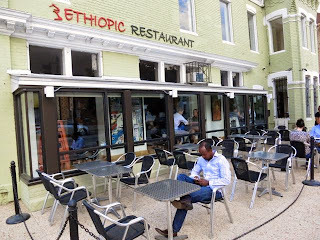 The atmosphere is always nice as they certainly cornered the market in terms of an upscale Ethiopian restaurant. You can sit and watch people on the street as you sip wine in their nice dining room and listen to recorded piano music. Their wine selection isn't bad either -- I mean it is just a few wines, but some are pretty good. 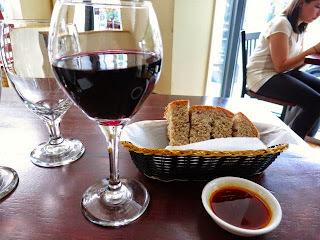 I really enjoyed a glass of the Meritage from California. There isn't much choice at an Ethiopian restaurant. You either choose from a few specific dishes or you get a sampler of all of them. Of course, we wanted a sampler of all of them! Since only two of us wanted everything spicy hot, they brought us some berbere spice and sauce, which was truly amazing. Unfortunately, our meal was not. The Gomen was perhaps the most disappointing with its dry collard green leaves in a mild sauce with little flavor. The Fosolia, which no longer has mushrooms, was good and different as it consisted of caramelized green beans, onions, and carrots. The Dinich Wot, curried potato, didn't have much curry spice at all. The Shimbra Asa Wot -- spicy chickpeas with a dumpling were fine as were the Kik Aletcha yellow split peas, Miser Wot split lentils in berbere sauce, and Tikile Gomen -- cabbage and potatoes. Two years ago I was raving about this place so I have to say this was a complete let down. 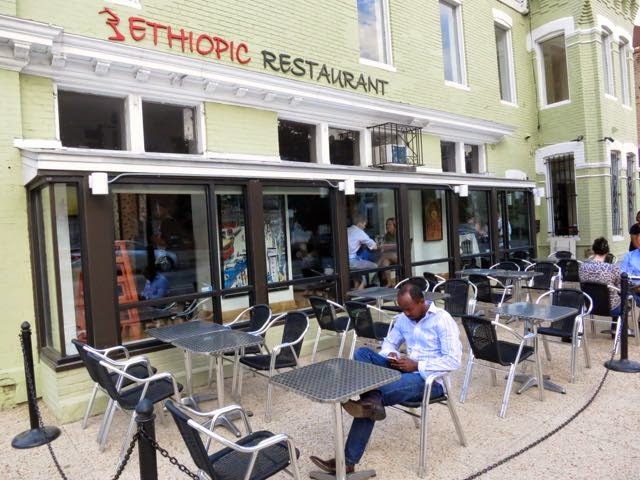 The food wasn't bad, but it certainly wasn't "the best Ethiopian in DC" good. In fact, other Ethiopian restaurants would shine next to this meal that before I would have considered not as good as Ethiopic. Did they lose their chef? I don't know what happened, but I hope they improve. Otherwise, they won't be seeing me and my friends there in the near future. I guess it's back to Dukem for me.